The HabboxLive department will be bringing you a number of exciting things over the next few weeks. Expect to see an increase in the amount of giveaways, more weekly shows and lots more on air competitions where you could win some fantastic prizes! Events will be focusing on recruitment this month, as we really need some new hosts to help spread the Habbox love on the client! To make being an events organiser even more appealing to you, a new rewards system has been put in place, which essentially pays you for hosting events and getting involved within the community! Full support and guidance will be given to you along the way, and you’ll be representing Habbo’s oldest and greatest fansite! If you’re interested in joining the team or have any questions, just add FlyingJesus for a chat! 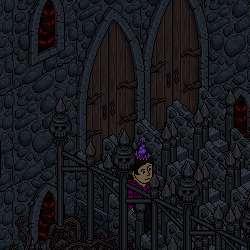 Habboxween – The Events Department will be running an exciting on client event where you will have to face a ‘nightmare’ challenge each day. The Saturday Night Quiz has been part of Habbox for a very long time, and offers you the chance to win some fantastic prizes every week! Starting from November, the Saturday Night Quiz League will return, having unfortunately been lost during our recent forum problems. We are currently in need of a new layout design for the room, this time being a Halloween layout! If you are into room design and want to have a go, check out this post. You only have until Saturday 15th October though to submit your room design, so be quick! Competitions management are busy working on an exciting ‘Cards against humanity’ event which they will be running in the next few months. For Habboxween, the competitions department will be bringing you lots of Halloween themed competitions! Besides from this, management will be looking at ways to increase staff numbers, entry numbers and may look at bringing back the competitions subscription system if there is enough interest. Be sure to check out all of the available competitions you can enter at habbox.com/comps! There are lots of exciting things happening over at the Forum Department at the moment. Management are looking at trialing some special gender forums which you should see in action soon. A big ‘Hunger Games’ themed event is planned for November, along with a Habbox game night coming soon too. The HabboxForum bake off competition will most likely make its return at some point during the month for all of you keen bakers. Other things to look out for include double token incentives during the month, some reorganisation of certain forums to tidy them up, and hopefully some arcade tournaments too! With such an exciting month ahead for our forum, be sure you are registered and active! You can check out the forum by clicking here.Habboxween – This Halloween we will see updates to the forum shop, an icons competition and some fantastic quick quizzes with some great prizes! 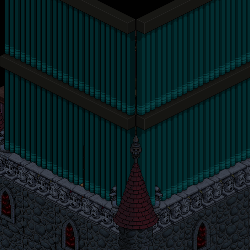 Our Room Builders Department plays an integral role in ensuring we have some fabulous rooms on Habbo for all to enjoy. They are responsible for designing and creating fansite event rooms, helping managers with room design projects, and even submitting and implementing Habbox Helpdesk designs! Be sure to look out for future rooms created by our wonderful team! Sho is still getting settled into her role as Content Design Manager, and has been busy sorting out a lot of the pages on our wiki. There are currently lots of minor adjustments going on behind the scenes, including a new staff rewards scheme, which will not only reward staff for their work, but will reward them for their involvement within the community too. Not quite sure what our Content Department does? I would explain but they’ve already done it for me. Habboxween – The content department will be playing dress-up this Halloween! Expect to see lots of scary costumes! This month the Articles Department will be looking at trying some new styles of article including: Habbox Showcase Articles – Going to big events, taking screenshots, writing up a positive review, reporting on things that happened, funny things that went on, general overview of the event. Painting a positive picture of what we do at Habbox so that others can see and hopefully join the community as a result of wanting to be a part of the fun! Lots of screenshots required and lots of feedback quotes. Reporting back what we do best. Generally focusing more on ‘magazine’ style articles rather than just news type reporting to make things more fun and unique. Permanent monthly articles will be introduced in the near future (similar to music monthly), one of these being ‘This Month In Images’ which will be a fun look back at both the Habbo(x) and Real Life month through just images and captions! Some ‘My Habbo Story’ article entries will be published soon too! I aim to increase the amount of competitions and participation type articles we produce, and ensure that forum participation is encouraged too, which should help to boost activity there. Advertisement of articles will be improved also via social media, with improved twitter postings, and increased Habbo presence too to hopefully encourage more people to join. 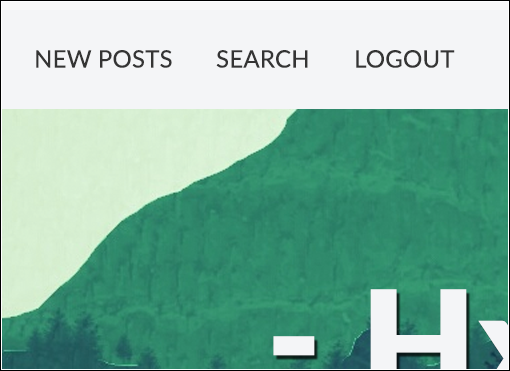 Some banners on the articles are becoming a little stale, so I’ll be requesting a few new ones to keep the site looking nice and fresh. I also aim to increase the use of videos in articles, possibly capturing videos on Habbo and then embedding them into articles. This new form of media would add something a little fun, be fairly simple to do and would illustrate things far better than words! Habboxween – Along with the Graphics Department, we will be offering you the chance to solve some terrifying riddles in order to hunt down some scary items from our haunted picture! An exciting new Rare Values feature for our main site is currently in the works and our Rare Values team are busy at work on this. They also have an exciting event coming up for Habboxween where there will be a long maze that changes every day, and every time you complete maze you get 1 point. Points are added up until the end of the week and the top 3 will get spookerific prizes. Habbox would be a very dull place without our fabulous Graphics Department! The Graphics Department are always on hand to provide departments with beautiful banners to advertise and promote all the exciting events we have at Habbox. During the course of this month, Coral will be looking at working on bringing back a monthly graphics competition, which should be back next month for you all to enjoy! A revamped staff rewards system is also in progress too, which will reward staff for their hard work!Habboxween – Along with the Articles Department, we will be offering you the chance to solve some terrifying riddles in order to hunt down some scary items from our haunted picture! The international element to Habbox is something we’re always keen to work on and improve, and it’s Matthew’s job to ensure that Habbox has a strong profile during international hours. This month he will be focusing on ensuring that our Halloween events run over into international timezones, giving everyone the chance to take part. He’ll also be focusing on improving the range of permanent live shows, events and other interactive things for the community to take part in. Chris takes on a number of roles at Habbox, namely Site Manager, Features Manager and Forum Super Moderator. He’s been working on an exciting new forum skin for you all, which I can now exclusively reveal! The main site has also been given a spooky Halloween makeover!